Thanksgiving is generally about food and good company, family or otherwise. Being a runner, I used to sneak away as the sun came up to get in a relaxed longer run before the chaos began. It was only a couple years ago that I discovered Thanksgiving morning runs and it seems their number increases each year. So now there is an option to join the running family during the day of thanks before the more traditional behaviors of relaxing and consuming turkey. Both Corvallis and Albany have turkey day options, each with 5K and 10K distance options, while the Albany event also offers a half marathon and 2.5 mile walk. This event is a fundraiser for the Corvallis Parks and Recreation Family Assistance Fund, which helps low income families with access to swimming lessons, therapy programs and other assistance. The course is described as flat and fast through residential neighborhoods. The event is open to strollers and leashed dogs as well as walkers and runners. There is also a ‘Little Gobblers’ 1K for toddlers to kids 12 years old that utilizes the sidewalk. 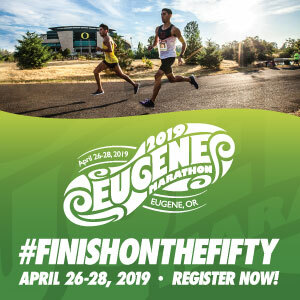 The route is a 5K loop, with 10K participants running it twice, starting at Linus Pauling Middle School (1111 NW Cleveland Ave, Corvallis). This is where early packet pick up will be occurring from noon to 7pm. Day of event packet pickup begins at 6:30. The 10K starts at 8:05 and the 5K starts in two waves at 8:10 and 8:15. They aim to please all kinds of runners with chip timing and a costume contest. In a nod to the busy holiday, there will be an awards ceremony for the top overall finishers while age group winners will get their ribbons mailed to them. Registration is currently $30 for either distance online through the 18th. From the 19th to the 21st it is $40 while DOE registration is $45. The Little Gobblers run is $12 with the price going up to $15 after the 19th. The Gobbler’s Revenge has a full slate of events starting at the North Albany Middle School (1205 NW North Albany Rd, Albany). Put on by the Lions Club, proceeds are going towards the Oregon Lions Sight and Hearing Foundation to be used locally. 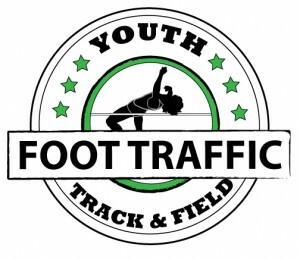 Pre race packet pickup is from 4:30 to 6 at the school, while DOE pick up and registration starts at 6:45 am. The half starts at 7:30, with the 5K, 10K and walk start at 8. Awards are scheduled to occur at 10 am. The half and 10K course will have two aid stations. The 5K is an out and back, but the course is on rural roads and the longer distances are described as more challenging. This generally equals scenic views, especially in the Mid-Valley. Shirts are included in the 10K and half marathon registration price, participants in the shorter distances can order them. Current price is $75 for the half, $40 for the 10K ($45 DOE), $25 for the 5K and $20 for the walk. Both of these events have aspects that can appeal to anyone, making them perfect to bring the family to if you can drag them out of bed. With proceeds going to great causes, it is nice to share your thanks for the season with unknown strangers as well as those you love. Precise chip timing means there can be no ambiguity about those family challenges made prior to race time. It is great that we as a running community find a way to share our passion on a national holiday while helping others and I personally hope that many can participate.